No matter how you spell it (Colour? Color? Kuler?) colours constantly communicate meaning. They provide us with information about the natural world around us – the vibrant greens of spring, the sombre greys of winter – or they can provide us with information about our safety: a traffic light, a glowing exit sign, etc. They are even associated with religious, civic or cultural meanings or groups; your city or favourite sports team will undoubtedly have its own colours. 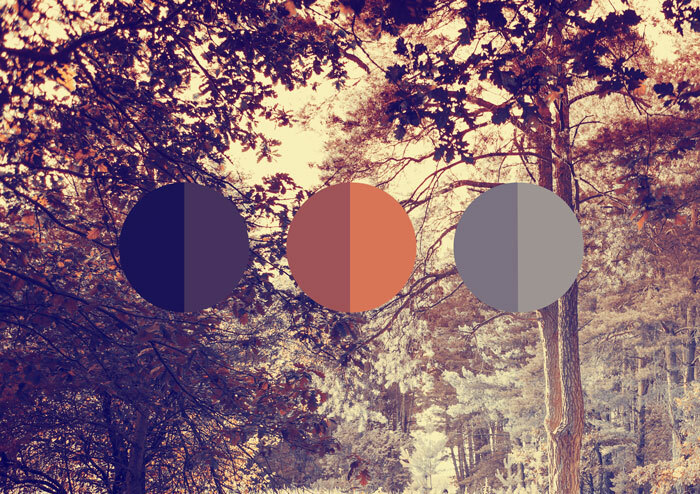 In e‑learning design, a chosen collection of colours is called a palette – just like a painter’s palette. So when starting a project, it’s always beneficial to establish your design boundaries, including your palette. Deciding on a colour palette is an important preliminary step which will improve your design. Do you have or need a corporate identity guide? When deciding on which colours to include in your palette, it is important to consult any documentation that might dictate your colours. A corporate identity guide – or a similar document – will give you an indication of where to start. If you’re working for a client that has a strong brand, chances are they will have their own palettes for you to use. You might find that you are restricted in your colour usage (with the specific usage of Pantones) and will have to adjust your design accordingly. An awareness of your audience is essential – this seems like a platitude; a ‘duh’ concept, but judging by how often this mistake is made, it’s worth mentioning – colours mean different things to different people across the planet. Conquer ignorance and do some research first, it’ll be worth it. It might be that certain colours in a particular context could be banned or considered incredibly offensive in some countries so it’s important to know who your learners are. What do I want my palette to evoke? If you’re thinking, “Wait, what are Pantones?” then the following information is for you. Pantone is a colour matching system created by a company of the same name. It allows image editing software (like Photoshop or CorelDraw) to access Pantone colour swatches (each colour is assigned a unique number code) for thousands of colours and each colour swatch that correlates across all Pantone software. This enables the accurate reproduction of colours across digital and print platforms minimising colour variance. Pantone also prints a swatch book available for purchase that allows you to match printed colours to their original swatches. This is incredibly helpful when working on a project that has both print and digital deliverables. As amazing as they are, Pantones aren’t available in e‑learning authoring tools like Storyline or Captivate. Pantones can only be used in specific programmes and might not be completely necessary in e‑learning. As mentioned above, Pantones are most useful when used in conjunction with a print deliverable – a blended learning solution – or when a client’s brand dictates the use of a specific Pantone. In some cases, it’s acceptable to instead use the CMYK or RGB values for a Pantone swatch (most corporate identity documents will outline these values for you). On a side note, Pantone also assigns colours to each year, which is always entertaining to see which colours get chosen when the New Year rolls in. Am I using brightness and contrast to my advantage? Bright colours in the natural world function as one of two things: a lure – the way that colourful flowers attract bees – or a warning – the bright yellow marks on the thorax of a honey bee warns of a nasty sting. This is a colour contrast concept. Eyes are immediately drawn to bright things that are in a colour muted environment. So one can use bright colours in e‑learning to draw the eyes of the learner to important aspects of the course presented to them too. Does that mean everything on your screen should glow with a neon fluorescence? No. Remember, singling out one important thing means making it brighter than its environment. If both object and environment are bright, the effect is lost. Hit the sweet spot in between, where colour is used to highlight and accentuate a bold design. Colour is part of your design’s foundations; the concrete that holds the bricks together, make good use of it. Don’t dismiss effective colour usage; at the very least, ineffective usage could you make your design seem either bland and boring or busy and frenetic, at worse, both.